Vibrating Wire Screens are the most important screening machines primarily utilized in the mineral processing industry. They are used to separate feeds containing solid and crushed ores. 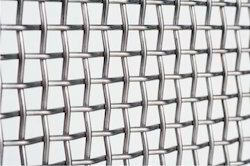 We are offering Wire Screens to our clients.